If you’ve ever wondered why so many popular songs you hear these days have a similar feel, there’s a simple reason: We’re importing them by the score as they roll off one particularly well-run assembly line. 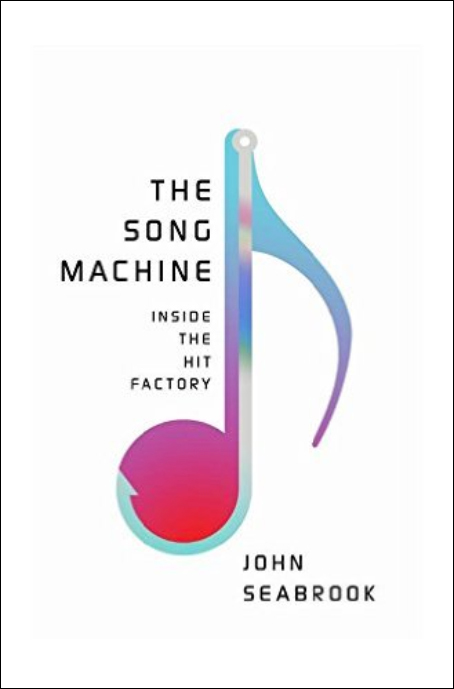 As John Seabrook, author of The Song Machine: Inside the Hit Factory, explains, a handful of producers, led by the late Denniz Pop and his protégée, Max Martin, revolutionized the whole songwriting process, developing an almost industrialized method that allowed them to crank out hit after hit with almost uncanny precision. Seabrook, also a staff writer at The New Yorker, appeared on the Knowledge@Wharton show on Wharton Business Radio on SiriusXM channel 111, to talk about how those catchy tunes we love are crafted, how today’s hits differ from what we listened to before, and how in some ways, the hit factory era is just a return to music’s good old days. Knowledge@Wharton: Today’s biggest hit songs aren’t coming from the U.S. or the U.K., where they had traditionally come from. They’re actually coming from Sweden. Stockholm has also become a hotbed for start-ups in recent years, and that has happened for a lot of the same reasons that the “hit factory” grew in Stockholm. First of all, Sweden has a large English-speaking population, and a very computer-literate population. Tell us more about how this all came together in Sweden. And that brings up the second thing that the Swedes are good at: They’re good at English, but they’re not that good at English, and they don’t get all caught up on metaphor and wit. “Hit me baby, one more time” is actually a line that no American or British songwriter would have written because it sounds like an ode to domestic violence. Whereas in fact, it’s really just the Swedes trying to use the latest lingo for “call me up” or maybe “e-mail me,” but they got it slightly wrong. But it’s a great line. They are able to come up with lines that work well with the melody, the syllables match the sounds, and if it doesn’t make sense, they don’t worry about it that much. Those are two things I think they have going for them that we don’t have. Knowledge@Wharton: The mastermind behind a lot of this was a Swede by the name of Denniz Pop? Seabrook: Right. Not his real name. Knowledge@Wharton: But he built this empire called Cheiron Studios, which was an epicenter for Swedish engineered pop. In the book, you write about how Cheiron is not writing songs in the way that we may think of people writing songs — two people in a room with a piano, or Lennon and McCartney in the studio with their guitars. They’re doing it in a very different way. Seabrook: Right. They do it in a way that I call “track and hook.” And that’s another thing that the Swedes have done: They’ve industrialized the process. It began with reggae and then filtered into hip-hop. In the track and hook method of songwriting, it starts with a producer in the studio making tracks. The usual method of writing songs is that it starts with a melody and a lyric writer, then the production gets added later, whereas in this method, the production is first. The producer makes a track on the computer, which is a chord progression, beats, and then some instrumentation. Then that track gets sent out to a bunch of different “top line writers” or “hook writers,” and sometimes you’ll send the same track to a bunch of different melody writers, and they’ll listen to it and then add hooks, which are short melodies. They’re not flowing, long melodies like a Burt Bacharach melody, but a very condensed melody, like a phrase. And then the producer will listen to those, and if he likes one, finish producing the song, and then the lyrics will come at the end. The reason that that method has been so successful is basically you can produce a lot more songs in a shorter amount of time. Whether they’re better songs and whether the songs sound more alike — it’s logical that they would, given the method by which they’re made. But the fact is that this is a great method of songwriting if you’re writing hit singles and that’s all you’re interested in. I mean, if you’re writing albums, then it’s probably not the best way to write songs, but since the world we live in today is so much of a singles-driven world, and that’s what these guys are specialists in, it makes sense that they would write songs that way. Knowledge@Wharton: It’s interesting that you bring that up, because one of the things I found ironic in the book is that the rise of this sort of pop music went hand in hand with the seismic changes in the music industry from the late 1990s on, like the rise of Napster and then iTunes and then Spotify, which is also from Sweden. Did one fuel the rise of another? How did they complement each other? I think partly it is that first we had the shift to iTunes allowing you to buy singles from the album instead of whole records, which broke up the album as the standard unit of commerce, and then the shift to streaming, where you make playlists composed of a bunch of songs from a bunch of different albums, which becomes your own personalized album. In both cases, it’s the song, the single, not the album, that is the main commodity. Given that, it makes sense that it would open the door to a type of songwriting and producer, and a type of artist, that wasn’t the sort of singer/songwriter, album-making artist of the past, but rather more the sort of singles-oriented artist of the deeper past. Because, of course, before the singer/songwriter era, there was the Brill Building era, and the Tin Pan Alley era, and those were eras in which the songs were often manufactured by committees or in factories,” and the artists who sung them weren’t the writers of the songs. So we’re back in that era, but with differences. Another aspect of the music industry’s change is now, you have to make money from songs not just on the radio, but in stores and stadiums and commercials. You hear these songs basically everywhere you go in modern life. You really cannot not hear a major, Top 40 hit song. And I think that’s different from 40 years ago, when you just didn’t hear music in stores. I mean, just in stores alone. My daughter calls them shopping songs, because you hear them when you’re shopping — you always hear them. Knowledge@Wharton: Right, you can’t escape them. Seabrook: You can’t escape them. Like in the grocery store, but also in shopping for clothes or even in the hardware store. That’s a big change, I think, and it’s fed this whole singles-driven process. Knowledge@Wharton: Consolidation also is really a big part of the story. There are fewer and fewer record labels. Radio stations are largely owned by conglomerates today. The morning show that I heard in Delaware this morning is probably the same one that people were hearing in Iowa or Nebraska. So it really takes fewer and fewer ears to declare that something is a hit, or decide that it’s going to be the next big hit. You have fewer and fewer people who are making those decisions. Seabrook: Yet the interesting thing is that even those people don’t seem to be always right or even right most of the time in picking the hits. That’s the great thing at the heart of the music business. Yes, it’s a very mechanized and conglomerated process. And yet at the very heart of it, there is this magical thing, which is a hit. And no one can predict one. Even the Swedes can’t always write hits. In fact, frequently they don’t. So there’s still kind of this magic, which keeps it real. Otherwise it might just get too mechanized and corporatized. But you’re absolutely right. Consolidation of radio, which was driven by the Millennium Digital Act in the mid-1990s, which allowed the ownership of more than a dozen radio stations, so Clear Channel has more than a thousand and it can standardize playlists for their Top 40 stations, is a huge driver of this stuff. Knowledge@Wharton: A lot of these songs get a bad rap from so-called music purists. But it’s hard not to eventually enjoy a song like “Umbrella” or “Since U Been Gone.” Ten minutes later, two hours later, two days later, you’re singing them. Do you feel like there’s an artistry to this that’s maybe not really getting recognized? It made me think that it does take skill to innovate within this really narrow framework. I’m just there, trying to think of something nice to say. Of course, six months later, not only was every single person on the whole planet singing that song, but my own 6-year-old daughter was singing the song in the house, and I was thinking “Wow, how could I have been so wrong about that?” But I really do think that I might have actually been right, that it was kind of a crappy song. But on hearing it 10 times or 20 times, the way the song is designed is to maximize repetition. It’s built around a very simple hook, and if you hear it once, it seems like it’s not much. But if you hear it 20 times, the brain becomes used to it and then starts to anticipate it. You complete the hook in your mind just before you hear it in your ear, and the brain just gets really happy when it does that. Even though you may not actually like the song, you have no choice. Your brain likes it, and that’s it. It just wants to hear it again. Knowledge@Wharton: It’s like the ultimate earworm? Knowledge@Wharton: “Roar” is actually one of my stepdaughter’s favorites. Knowledge@Wharton: So I’ve heard it many times. Seabrook: I have played it on a guitar with my daughter. It’s actually kind of fun. But when I first heard it, I really didn’t think it was very good at all. Knowledge@Wharton: Now, that brings up my other question. Because to me when I was reading the book, it really made me think about the difference between disruptive innovation and more incremental innovation. That if you take those “moon shots,” they win big for you if they succeed. But if they don’t, you’re really set to lose big. Whereas if you’re innovating within, in this case, that “hook every few seconds” framework, you’ve got a surer bet. Does that mean good songs are getting overlooked? Is it possible for something that breaks the mold in the pop arena today to really make an impact? Seabrook: It’s always a push-me, pull-you there. Pop does have pretty rigid frameworks and parameters, and you probably stand a better chance of trying to fit into them. Yet often, the very biggest songs are the ones that totally break the mold and do something totally different. In the book, there’s this phrase Max Martin uses: “Sometimes you have to let art win.” You know, one of the great examples is actually the video of “Gangnam Style,” which I often talk about in the book. You know, K-pop is this giant, manufactured Korean form of music that’s the most produced music on Earth. Yet the one song that broke through in the U.S. was a song that came from completely outside that system, and featured a pudgy guy doing a goofy horse-riding dance. Nobody in a million years is going to say, “Oh, yeah. That’s the one. That’s the one that’s going to be a hit.” That’s part of the whole thing. And pop moves in cycles, too. At least, it has up until now. You have the sort of pure pop sound in the middle, and then people get bored with that, and they want something more extreme, and then it comes back. No one stays in one place in this world. The real innovators, probably nine times out of 10, they strike out. But it’s the tenth one that really hits it out of the park and you need those people. But one other thing I’ll add: Another thing the Swedes did, it’s not just about the song. It’s the system of writing the song. And it’s not just track and hook. The Swedes have large committees of people who write songs, and they specialize. You have verse writers, chorus writers, bridge writers. You swap in verses and choruses from different songs. I think that over time, that extends your potential for continuing to write hits. You continue to bring young people into the system and then train them, while the older people get some kind of vibe from the new people that inspires them. It’s a very mentor/protege-driven system. You know, there is very little formal schooling that you can do to make it in the pop-hit-making world. It’s like a medieval world. You have to sit next to the guy who’s the master, and then you become the master, and then you pass along the secrets, and that’s really how it works. Knowledge@Wharton: Right. You see that in the book, because you start with Denniz Pop, and then he brings on Max Martin, who brings on all these other people. Knowledge@Wharton: Right. It’s just this endless cycle, so everybody can be traced back to one of those original people. Knowledge@Wharton: It’s funny you mentioned your “Roar” experience, because in the book, you talk about how Kelly Clarkson actually had a similar experience with one of her songs, “Since U Been Gone.” I’m not gonna lie, I love that song. Knowledge@Wharton: But she did not when she first heard it. Knowledge@Wharton: There’s a pretty interesting story of her experience recording that song, when she worked with Max Martin on it. He persuaded Kelly to do it. And she recorded it, and then Clive heard the song, and we hear what we hear, and it was a great song. But Kelly Clarkson said, “I hate that song, and I don’t want that song on my record.” I wonder at how an artist could not hear how great that song is, but this happens quite frequently, that you have these clashes between artists who really maybe don’t always know what’s best for them. But because they’re artists, and because everybody focuses on them, they feel like they have to be the ones making the decisions. In the end, Clive was able to persuade her to keep it on the album. And it really was her career-making record, and it made it possible for everything that came after. But if it had been up to her, we would never have heard that song. Knowledge@Wharton: It’s funny, because the story continues, and it’s kind of a back and forth between Clive Davis and Kelly Clarkson, and Clive Davis comes off like such a jerk, but he’s right. Everything he tells her is right. I mean, she doesn’t want that song on her album. He makes her put it on. It’s a hit. The next album, she wants to have full control over it. She writes it. He tells her he doesn’t hear a hit. She says she doesn’t care. He’s right. And then she’s back by the album after that, working with Max Martin again, even though she said she would never work with him again. Seabrook: Right, exactly. But you know, through it all, I came out with a lot of admiration for Kelly Clarkson. I mean, she was a girl in her young 20s standing up to a guy, you know, 75 years old, who has signed Whitney Houston, signed Alicia Keys, signed Janis Joplin. It took a lot of moxie for her to do that. Even if she wasn’t right, I do admire her for her gumption. Knowledge@Wharton: Reading that portion of the book about Kelly Clarkson made me wonder, is the fact that she wanted more creative control, and he said, “OK, but it’s not going to work,” and it didn’t work — Is that a bad thing? The fact that when she was given more control, it didn’t work out: Does that not bode well for artists having creative control, for writing the songs themselves, for writing about personal things? As opposed to just having someone manufacture the songs for them? Seabrook: Well, the thing is, we come out of the singer-songwriter era, which is an aberration in the whole history of pop music. Most of it has been professional songwriters writing songs for the artists who don’t write songs. But because the singer-songwriter era was so resonant, and because the artists who do write their songs are seen as critical darlings and the ones that don’t, aren’t, you get a lot of artists who feel like in order to really make it as an artist, you have to write your own songs. And I think Kelly was coming out of that. The problem, though, is that you’re often better at singing than writing. It works the other way, too. The songwriters, when you start with an artist who’s not very big, they’re perfectly happy to accept advice, and the songwriters are really in control. But over time, as success comes to the artist, and as they’re promoted without saying as much, but the assumption is they do write their songs. If people have that wrong, you’re not going to correct them if you’re the label. So as an artist, I think you see yourself promoted this way, and you start thinking, “Well, I actually should write my own songs. You know, why not?” And then you do it, and then the whole thing breaks down. That’s why with all these hit factories — you go back and look at the end of Motown or the Brill Building — it almost always is that the artists decided that they wanted to be more in control of their own stuff, and that’s when everything falls apart. Knowledge@Wharton: It seems like there’s a constant push-pull. I guess there’s no way to really tell what the right combination is between the artist having creative control versus the machine having creative control. Seabrook: There is. It really has to be the artist being strong enough to do a lot of it themselves, but also to be able to take advice and back off when they hear a better idea. You read about the Rolling Stones and how their songs worked and how they made their songs. When they got into the room, it wasn’t like, “this is Mick Jagger’s song or this is Keith Richards’ song, we’ve got to do that song.” Whatever the best song was, whatever the best musical idea was, that was the way they went. I think you have to do that in any context, as an artist, band, whatever. Knowledge@Wharton: One final question for you. In writing this book, was there a particular Swedish pop machine, hook-heavy, catchy song that was your favorite? Seabrook: Well you know, “Since U Been Gone” is pretty far up there. I do love that song. I think that “(Hit Me) Baby One More Time,” the first one to hit No. 1, and then “Oops!… I Did It Again” actually I do think was also a great song. And I think the most recent No. 1, “I Can’t Feel My Face” by the Weeknd, also written by Max Martin, is a terrific song, and in some ways kind of returns him to his original ambition of writing an R&B song for a black artist. He finally got his dream. And you know, it’s a pretty great song too. And now the next Adele song [Send My Love (to Your New Lover)] is going to be a Max Martin song, so you know, we’ll see where he goes from here.